The present study was designed to examine the therapeutic effects of Botulinum neurotoxin A (BoNT/A) on depression-like behaviors in mice and to explore the potential mechanisms. These results revealed that a single facial injection of BoNT/A induced a rapid and prolonged improvement of depression-like behaviors in naïve and space-restriction-stressed (SRS) mice, reflected by a decreased duration of immobility in behavioral despair tests. BoNT/A significantly increased the 5-hydroxytryptamine (5-HT) levels in several brain regions, including the hippocampus and hypothalamus, in SRS mice. BoNT/A increased the expression of the N-methyl-D-aspartate receptor subunits NR1 and NR2B in the hippocampus, which were significantly decreased in SRS mice. Furthermore, BoNT/A significantly increased the expression of brain-derived neurotrophic factor (BDNF) in the hippocampus, hypothalamus, prefrontal cortex, and amygdala, which were decreased in SRS mice. Finally, BoNT/A transiently increased the levels of phosphorylated extracellular signal-regulated kinase (p-ERK) and cAMP-response element binding protein (p-CREB), which were suppressed in the hippocampus of SRS mice. 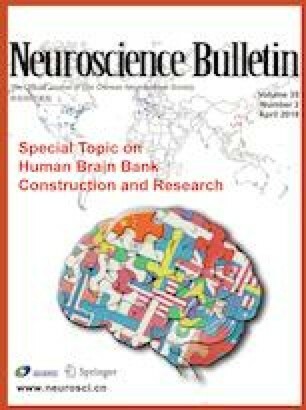 Collectively, these results demonstrated that BoNT/A treatment has anti-depressant-like activity in mice, and this is associated with increased 5-HT levels and the activation of BDNF/ERK/CREB pathways in the hippocampus, supporting further investigation of BoNT/A therapy in depression. Yang Li, Jing Liu, Xu Liu and Cun-Jin Su have contributed equally to this work. This work was supported by grants from the National Natural Science Foundation of China (81870874, 31371179, 81300968, and 81671270) and the Natural Science Foundation of Jiangsu Province, China (BK20170004, 2015-JY-029, and BK20140372), Jiangsu Key Laboratory of Neuropsychiatric Diseases (BM2013003), the Second Affiliated Hospital of Soochow University Preponderant Clinic Discipline Group Project Funding (XKQ2015002), the Postgraduate Research and Practice Innovation Program of Jiangsu Province, China (KYCX17-2000), Suzhou Science and Technology For People’s Livelihood (SYS201706), the Postgraduate Research and Practice Innovation Program of Jiangsu Province, China (KYCX17_2034).